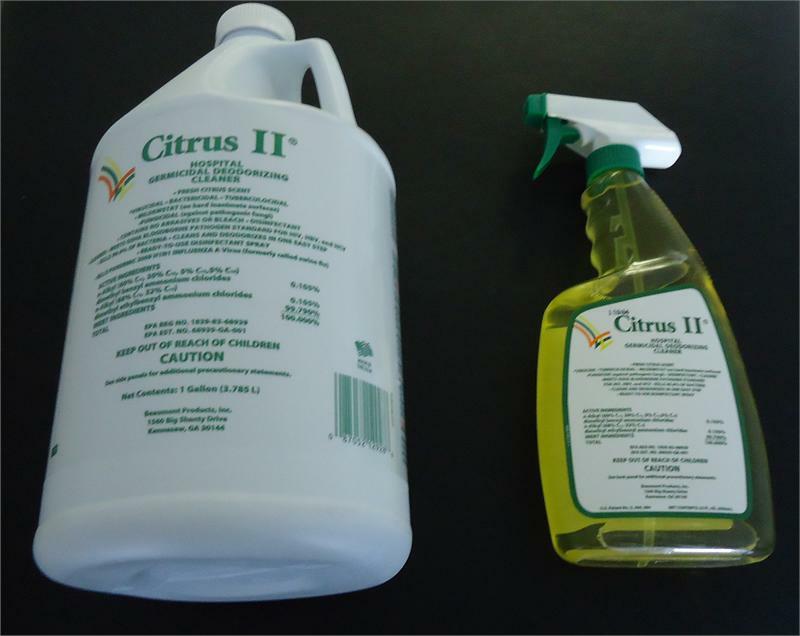 Cleans, deodorizes, and disinfects surfaces, equipment, and non-critical instruments. Effective against mold and mildew. Tested safe for a variety of surfaces including vinyl and naugahyde. Its non-acidic, non-corrosive, and non-staining. Ready-to-use; no inconvenient mixing, dilution, or activation required as with concentrates. Refreshing citrus scent keeps the facility smelling clean and fresh.